"How do I raise worms and how do I make them grow bigger?" is probably the most frequently asked question I get. While there are no shortcuts (well, there are a few) to growing big, healthy European Nightcrawlers and Red Worms, there are a few conditions and elements that are absolutely necessary to accomplish this result. Drum Roll Please: Secrets To Growing Bigger Worms Revealed! Any failure (by failure I mean dead worms, skinny worms, no worms) are almost always because of one or more of the above. Worm bedding that is acidic, old, compacted, too wet, too dry will cause you a lot of grief. 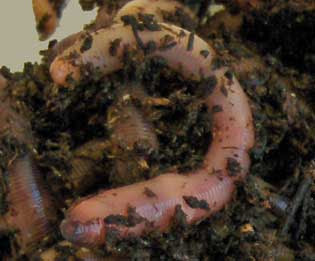 As a matter of fact, most failures in worm farming and worm raising is directly related to the worm bedding condition and composition. 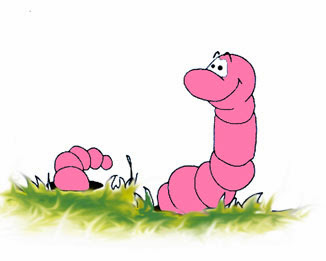 Solving worm bedding problems, or better yet, never letting these problems materialize, is absolutely essential to raising earthworms successfully. Filling your worm beds with bedding most beneficial to the health of your worms is the most important first step in successful worm farming. You are what you eat and so are your worms. If your worms don't have proper or adequate nutrition,. they will soon die, crawl away or remain small and sickly. The quality and condition of your worm food is directly related to the quality and condition of your European nightcrawlers or red worms. The amount you feed, what you feed and the condition of that feed is of greatest importance in growing worms bigger and increasing worm reproduction. For instance, I've described in my manual how wonderful horse manure is as a worm food. But, if the horse manure you're collecting for your worm beds comes from poorly fed horses, the resulting manure from these unfortunate beasts will not provide much nutrition for your worms. Perhaps the most important quality of a successful worm farmer is attention. Most failures and "worm nightmares" come from one thing: lack of attention. 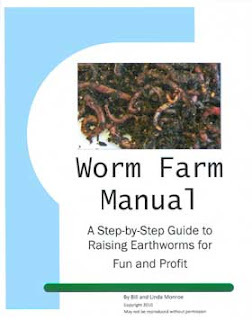 Worm farming is not an "absentee business". Don't build it and expect the worms to fend for themselves. Problems usually happen and will only get worse if you aren't paying attention and fixing them pronto. ....as well as harvesting and selling worms. Whether your trying to grow worms for your own use or want to grow enough to sell commercially, this manual gives you the information I wish I'd had when I first started. You'll find more worm feeding tips and how-to's, as well as all aspects of worm farming, in my "Worm Farm Manual". Available in both download and hard-copy versions.